Tom Robey runs around like a mad man. Or maybe a mad scientist. His laboratory is the kitchen. Robey is executive chef at Veranda on Highland in Birmingham, Alabama. His specialty is regional seafood: Louisiana crawfish, Florida crab, Alabama shrimp. When the Deepwater Horizon oil rig exploded last month spewing oil into the Gulf, Robey shelled out nearly 3-thousand dollars to stockpile 600 pounds of shrimp. And it’s a good thing, because officials closed some of the fishing grounds. 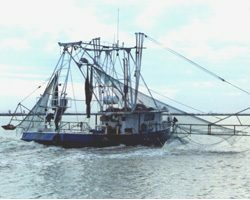 It’s not clear how extensive and long-term the damage to Gulf seafood will be. Early tests don’t show substantial chemical contamination, but monitoring might have to continue for decades. Meanwhile, industry officials expect a shortage of domestic seafood. And other countries are ready to fill the gap. We already import about 80% of our seafood. But the oil spill is expected to drive that number higher. Tom Robey says he’ll take seafood off the menu before he serves imports. He may have reason to be nervous. Caroline Smith DeWaal is director of food safety for the Washington DC-based Center for Science in the Public Interest. She says when state regulators tested imported shrimp they found it was contaminated with antibiotics and other chemical residues that are illegal in the US. Dewaal says there’s evidence some imported shrimp are grown in contaminated ponds. Supporters of the industry say – while some tests have caught problems – that doesn’t mean all imported seafood is bad. Norbert Sporns say there’s no need to worry. He’s CEO of a Seattle-based company called HQ Sustainable Maritime Industries. They farm tilapia – mostly in China. Sporns says the US has an international certification process that is rigorous and will catch potential problems. But the FDA only inspects about 2 percent of imports. Right now, Congress is considering a bill that would give the FDA a lot more authority over imported seafood. So far, the bill has passed the house and is waiting to be picked up in the Senate. And that price could go even higher if the oil spill in the gulf contaminates a good part of the domestic supply. When carbon dioxide is released into the atmosphere, about a third of it absorbs into the ocean. That creates carbonic acid—the stuff in soda pop that gives it that zing. That means seawater is becoming more acidic. Scientists say this ocean acidification is starting to cause big problems for marine life. And Ann Dornfeld reports that could affect your dinner plans. century. And shucking them, one by one, by hand. about anywhere else, there’s a good chance they came from Taylor. lot of it has to do with ocean acidification. too low, it can hurt marine life. called aragonite, which dissolves more easily in corrosive water. bacterium that kills oyster larvae. five to six percent more acidic as a result of man-made CO2. their industry. Bill Dewey with Taylor Shellfish Farms was there. Critics of aquaculture say the practice can spread disease, introduce invasive species, and pollute the environment. < But right now, there are no federal laws regulating offshore fish farming. The Ocean Conservancy’s George Leonard says that’s a problem. Legislation introduced last week in Congress could change that. 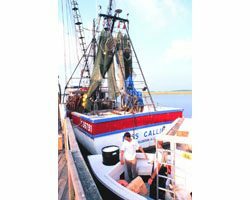 The bill would require fish farmers to apply for federal permits before setting up shop. Those permits would set standards to protect ocean ecosystems. 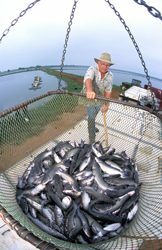 The bill would also provide money to research how aquaculture is impacting the environment. changing the patterns of sea creatures. In a little boat just off shore of Virginia’s Cone River, AJ Erskine leans overboard. He is using 20-foot poles with gaping jaws full of long needle like teeth to scrape the bottom of the emerald colored river. Up comes a pile of oysters. They’re only about a year old. That’s because Erskine is worried about stingrays, specifically Cownose Rays. Every march, the winged sea creatures migrate into the bay from the Atlantic. They come to give birth, mate, and eat. Erskine says it’s become a huge problem for oyster farmers. 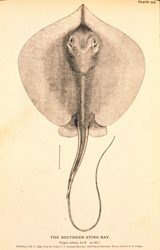 The rays also damage the underwater environment. They uproot aquatic grasses, destroying nurseries for fish and blue crabs. 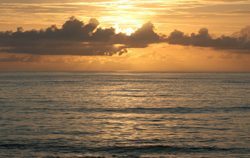 Some biologists believe there are more rays because a main predator – the shark – has been overfished out in the Atlantic. Tiger Sharks in this area have declined 99% over the past 30 years. Other biologists say it’s that strict limits on fishing in the Chesapeake Bay have meant fewer rays caught accidentally in giant nets. Whatever the reason, oyster farmers are looking for a way to control the rays. A hundred miles inland, in Richmond, Mead Amery thinks he has a solution. Avery is a seafood distributor. He and officials with the State of Virginia want you to try stingray. It’s been a tough sell so far. Marketers are trying hard though. They don’t call it Cownose Ray but rather Chesapeake Ray. They’re pushing the ray in restaurants from Virginia to Japan. And it may take off – after all, lobsters used to be considered insects of the sea and only the poor ate them. The popular Chilean Sea Bass used to be a nuisance by-catch. But, while those cases offer hope for marketers, they carry warnings for environmentalists. Both Sea Bass and Maine lobsters were dangerously overfished because of their popularity. Bob fisher is a biologist with the Virginia Institute of Marine Science. He knows full well there are risks involved in going after stingrays. He says stingrays are slow to mature and give birth to only one offspring at a time. And no one even knows how many there are. But Fisher is still very much open to the idea of harvesting the rays given the problems they seem to be causing for oyster growers. Fisher is working with the Marine Products Board, and the Department of Agriculture to come up with a plan to strictly limit fishing of the ray to what’s sustainable. So, if the whole thing is successful, you might find Chesapeake Ray on a plate near you. For The Environment Report, I’m Sabri Ben-Achour. This new film is called The End of the Line. That’s Ray Hilborn of the University of Washington, one of the scientists in the documentary. 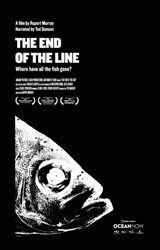 The film is a compelling argument that huge fishing trawlers are pushing the fish stocks to the edge. The first sign of a problem was the cod fishery off the coast of Newfoundland. It collapsed in the 1970s. But it seemed, despite problems around the world, the total catch around the globe was going up every year. That is, until researchers realized just a few years ago, Communist officials in China were reporting inflated fish numbers to impress their superiors. The world catch was actually getting smaller. Scientists were stunned, and worried. Boris Worm at Dalhousie University is one of the researchers who confirmed the world catch is getting smaller. He and others have been studying the fact that boats are catching fewer fish, even though the nets are larger and the long lines put out more hooks. Claire Lewis produced The End of the Line documentary. She admits, this leaves people who see fish as a good source of low-fat protein in a spot. That last speaker is Charles Clover. The film documentary is based on a book he wrote by the same title. Like the film’s producers, he wants people to be more aware of the plight of the world’s fisheries. Producer Claire Lewis says there are examples where fishing is being controlled more carefully. Lewis says, if left to the big commercial fishing operations, they’ll just keep fishing until fish stocks collapse. And she believes stricter government regulations and better informed consumers are the only things that will stop them. The film tries to get people to start thinking about what they can do: such as, asking about the fish before you buy it, letting politicians know a sustainable fishery is important, and it encourages people to get involved with groups such as Seafoodwatch.org. The End of the Line is narrated by actor and environmental activist Ted Danson. It’s appearing in theaters across the nation. 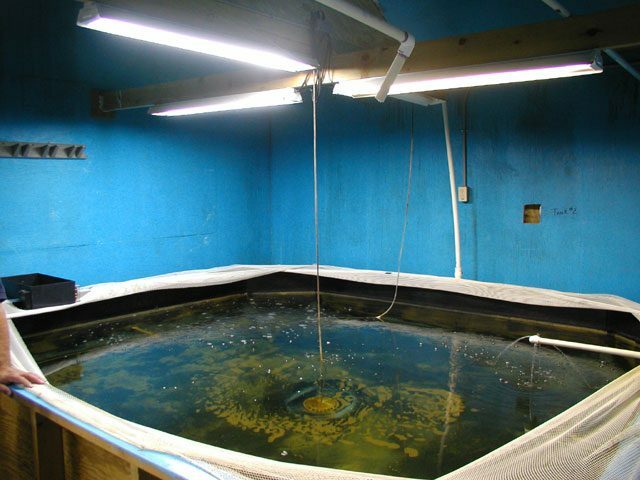 If you’re a fish living anywhere near a wastewater treatment plant, you’re swimming in drugs. 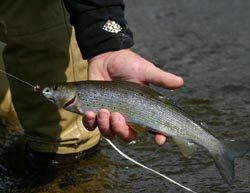 A new study out of Baylor University finds our pharmaceuticals are getting into fish and other aquatic life. Bryan Brooks is one of the researchers. This is just the latest research that shows the stuff we take passes through us, and ends up in the water. There’s not a lot you can do about that, but Brooks says at least don’t flush unused medications down the toilet. The FDA says, mix the drugs with something nasty like kitty litter or old coffee grounds so kids won’t be interested. Then put it all in a sealed bag or can with a lid so it doesn’t leak out of a garbage bag. the waters off the Northwest coast of the US. combing the docks for invasive tunicates. They don’t have to look far. the hulls of local boats to keep the sea squirts from spreading. Allen Pleus manages invasive species for the state. 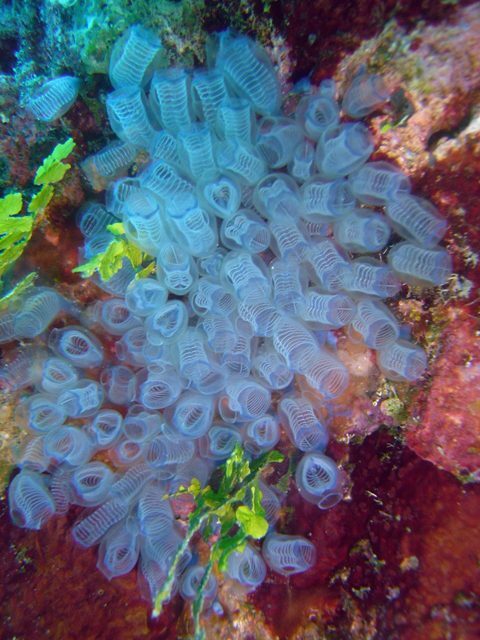 species of sea squirts forms a slimy mat that smothers mussels and other shellfish. Pleus says if tunicates get out of hand, they could make a big impact on the seafood industry. farms were recently wiped out by invasive tunicates. they have to be thorough. been docked for seven years. Its tabs show that’s the last time it was registered. back on this boat if the owner doesn’t keep it clean. one entirely. When they were done, they’d removed ten tons of critters. invasive sea squirts, they have to employ a sort of scorched earth policy. is trying to protect. They have to destroy the habitat in order to try to save it. 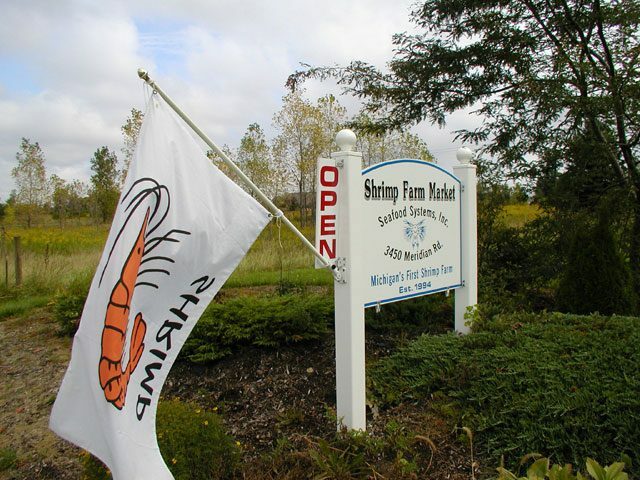 Indoor Shrimp Farming: A New Market? it’s the perfect environment for shrimp to mate. right out of their tanks. year ago, and now, he’s selling all the shrimp he produces. of introducing diseases into his system. 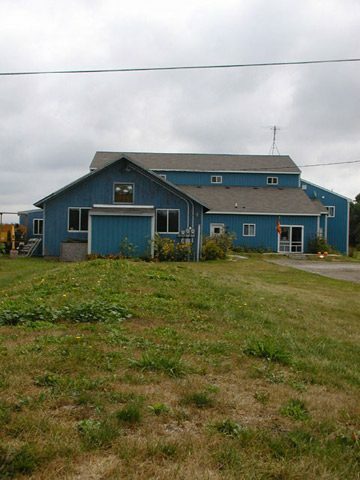 But indoor farms haven’t always been a viable option, either. have a better chance of making a go of it. that the price of shrimp is the lowest it’s been in a decade. unconventional industries like his, grow. 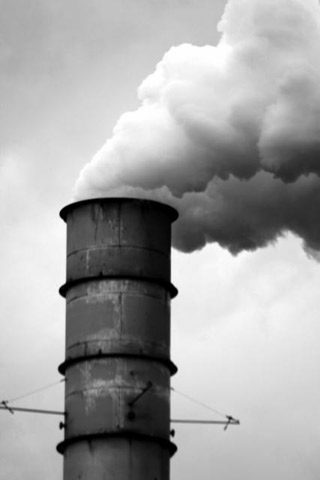 companies to add expensive pollution prevention equipment at every plant.